Pshhhhh are you there? I have a secret to tell you!! The secret is that I love a good crumble even more than I love a good chocolate cake. It’s true. And that’s saying a lot, my friends. There’s just something about that sweet fruity filling topped with crunchy oats and streusel that gets me every.single.time. This is a lovely little creation using those gorgeous ruby red celery-looking stalks that are just everywhere right now. Before this, I’d never baked with rhubarb before. To be honest, I’d never even had rhubarb before. But then a few weeks ago Adam and I had dinner at a friend’s house and she made a strawberry rhubarb crumble that was to die for. 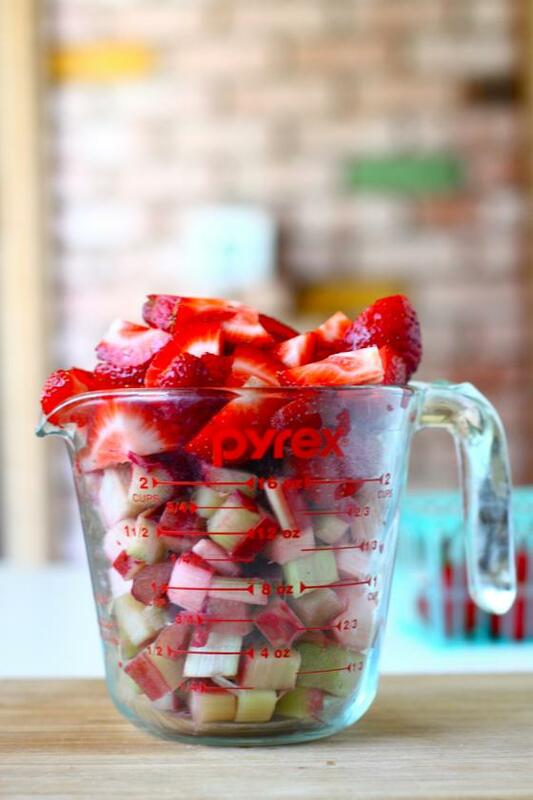 My version uses big juicy strawberries, rhubarb and apples…just because. Okay fine, I had two apples on hand that day and I thought what the heck, let’s just throw in the kitchen sink while we’re at it. Turns out it was a really good decision indeed. And you know what takes this crumble to the next level? Vanilla ice cream! Like, three scoops of it. Mmmm crunchy, golden, sweet, delicious, juicy, lovely crumble!! Yes. 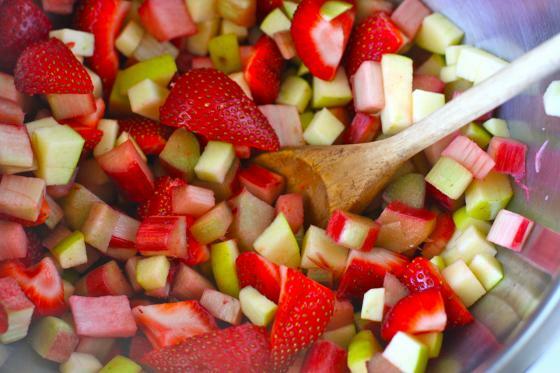 Toss the diced rhubarb, strawberries and apple in a large bowl with the flour and granulated sugar. Spray an eight inch square dish with cooking spray and pour in the fruit. 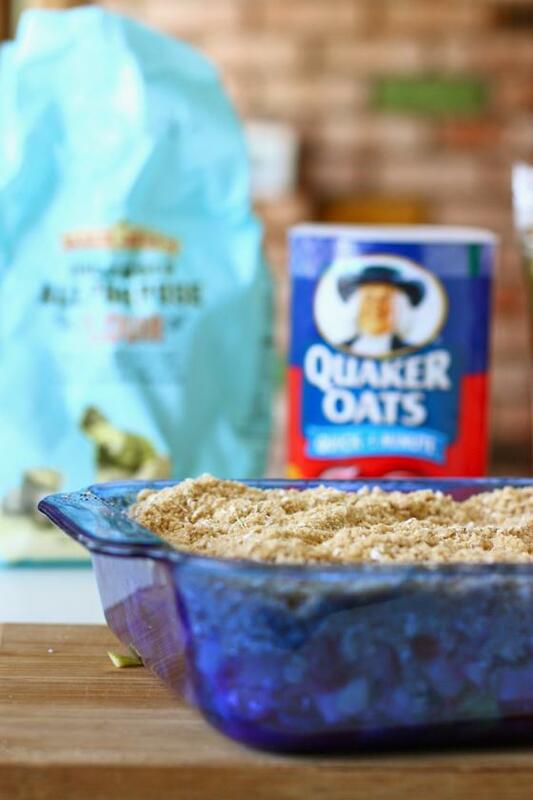 In the same bowl you tossed the fruit it, combine the oats, flour, brown sugar and cinnamon. Using your fingers, work the butter in until it resembles coarse sand (you still want some tiny butter chunks here though—don’t work it in so much that it becomes cornmeal/pie dough consistency). Pour the topping on the fruit and bake for 45 minutes, until golden. I’ve actually never had rhubarb before, either. The fruit (?)/vegetable(?) kinda freaks me out a little. But I’ve always been curious, so maybe trying in a crisp will ease the weirdness! I love crunching on something with dessert! I’m also ashamed to say I’ve yet to have rhubarb anything! Yikes…I know, I know! This sounds amazing! 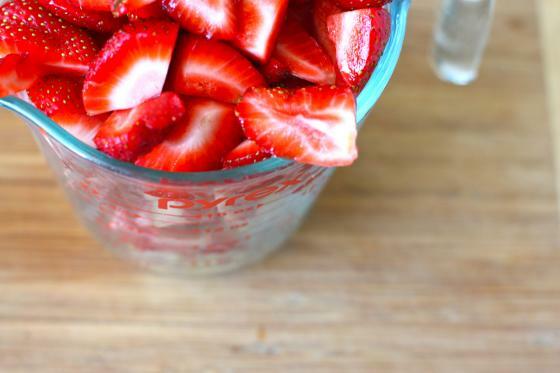 Strawberries are SO delicious right now.. what a perfect recipe! This is so seasonal and perfect right now! Yum! i’ve never actually cooked with rhubarb but have always wanted to try. this sounds like a fantastic summer recipe, and i can’t wait to try it! Wow, that looks and sounds delicious! We actually had rhubarb a lot growing up, but I have never cooked with it before. Maybe I’ll pick some up this weekend! I absolutely love Strawberry Rhubarb. And now that it is summer.. I crave strawberries.. practically 24/7! Thanks for the bomb recipe! Oooh this looks so good. I’m a sucker for apple and an even bigger one for Rhubarb. Put them together – oh my, I’m a goner for sure! Oh yummmmm! Strawberries and rhubarb have been common ingredients in my repertoire lately – they’re such a great combination, totally made for each other! This sounds delicious! I wish I was currently eating this for breakfast! Girl, you are a MACHINE! I found your blog a few months ago and have become increasingly addicted — and every single time I check for a post there’s something new! Do you ever sleep?! 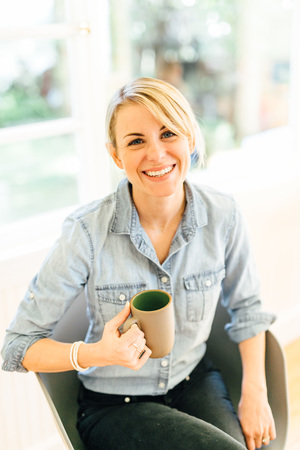 I love everything about this blog! It’s so fun and all of the recipes are things I would actually MAKE! Love it!!! I had rhubard the first time last weekend and now I am hooked. I have never had rhubarb either, but I think I will have to change that this summer! 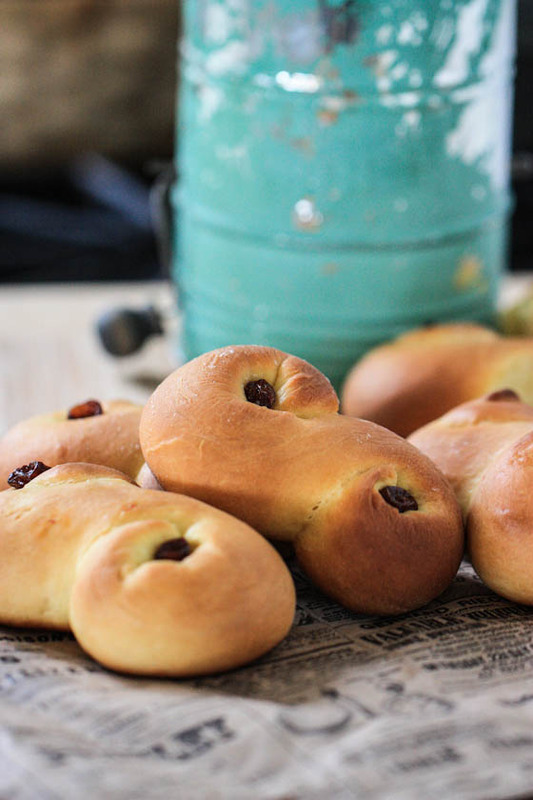 Really good recipe – it’s similar to one my mum makes. And I completely agree about the vanilla ice cream! Essential! Is there anything I could substitute for apples? I am one of those weirdos who hates the texture of baked apples. FYI, when cooking with garden-grown rhubarb: avoid the leaves! They’re actually poisonous! I grew up eating lots of rhubarb delights and my mom would always ALWAYS remind me of this. I’m with you on the crumble supremacy – as much as I love chocolate, especially when paired with peanut butter – nothing beats a good fruit crisp dessert. I always associate them with autumn, making apple and pear crisps, but I think its high time I start making summery berry crumbles. Thanks for the inspiration! Wishing I had a big bowl of this right now! I’m totally with you on the love of fruit crumbles; as long as their not super sweet, I probably could eat them all day! I had my first rhubarb crumble last week in Normandie. Man was it good ! But she didn’t add sugar so the ice cream was a must! OMG, that looks amazing! Our rhubarb is ready for it’s first harvest. Guess what I’m making this weekend? Strawberry rhubarb is my all time favorite summer combo. Love the added apple too! I have a secret: I have never, ever tried rhubarb! 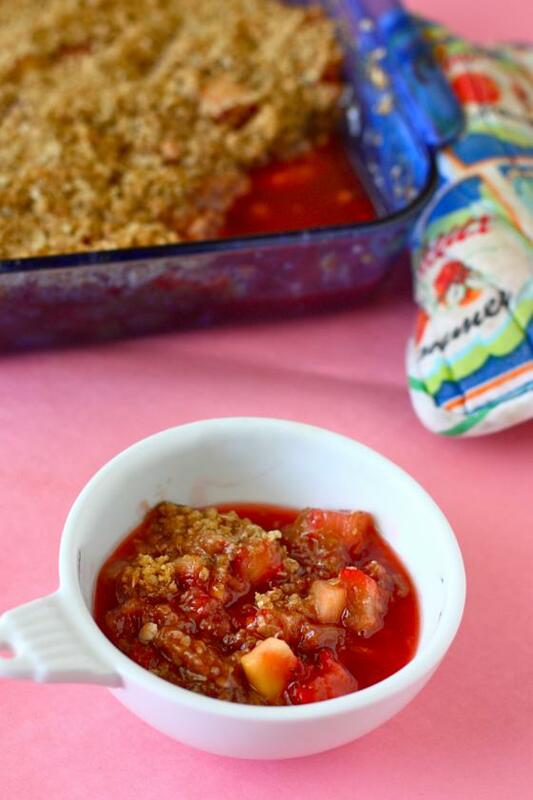 Rhubarb always reminds me of my childhood, as my dad used to have a huge rhubarb bush in the garden (sadly it no longer exists 🙁 ) My mum always used to make yummy rhubarb crumbles on a Sunday when it was in season…so good! Yours look delicious. And, I know what I’m making this weekend! I love strawberry rhubarb pie but a crumble is so much easier. I CANNOT believe you hadn’t had rhubarb before!!! And I am STUNNED by how many of your readers haven’t either!!!! Having grown up with it, I am a true rhubarb lover. I remember hot summer days as a child, playing in the yard, barefeet running in the grass and mom giving us a stalk of rhubarb and a cup with a bit of white sugar in it. You bite the rhubarb off and dip the end in the sugar. I will do that for my daughter when she is old enough. The very thought brings back happy childhood memories and to this day I love the tang and bite of rhubarb. In addition to pairing it with other fruit, rhubarb is fabulous in baked goods on it’s own. OR, stew it with a bit of water and sugar, let it come to room temp or cool and serve mixed into greek yogurt (TO.DIE.FOR) or as a topping for cheesecake! The tartness balances out the richness of the cheesecake and is a lovely pink colour. Rhubarb is so versatile and honestly, it’s one of my favourite fruits. It also pairs well with pork – prepare a rhubarb, apple, cranberry compote and serve alongside your pork tenderloin. Or toss some cubed rhubarb into your pan with your roasting meat! Gosh I’ve had a dish prepared with rhubarb, saurkraut, carrots and apple cider vinegar in the bottom of the pork roast that was the best thing I’ve ever tasted. Experiment with it – it’s amazing! I totally agree with you – crumbles/crisps over cake any day! Before you even mentioned ice cream i was thinking about how good it tastes warmed up with melted ice cream on top mmm mmmm mm. seriously, i want crumble at my wedding. screw cake. I have not had a crumble involving rhubarb in far too long! I too prefer fruit desserts to chocolate. This looks delicious! i’m never had rhubarb, but i’m bookmarking this! it just sounds so summery and delicious! I’ve never had rhubarb either but this recipe definitely makes me want to try it. Plus my husband loves rhubarb, sounds like a win win! 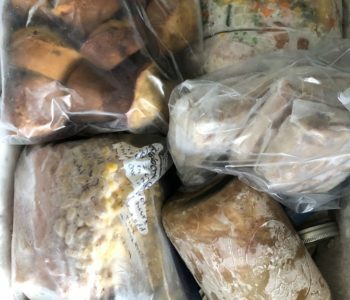 I just recently started baking/cooking with rhubarb and we love it. Its delicious as a strawberry rhubarb sauce on top of vanilla bean ice cream. Melty, fruity, delicious. Oh, I love crumbles and you used one of my favorite things – rhubarb! I love rhubarb! My parents have a huge bush outside their house. I just made a rhubarb cardamom upside down cake. 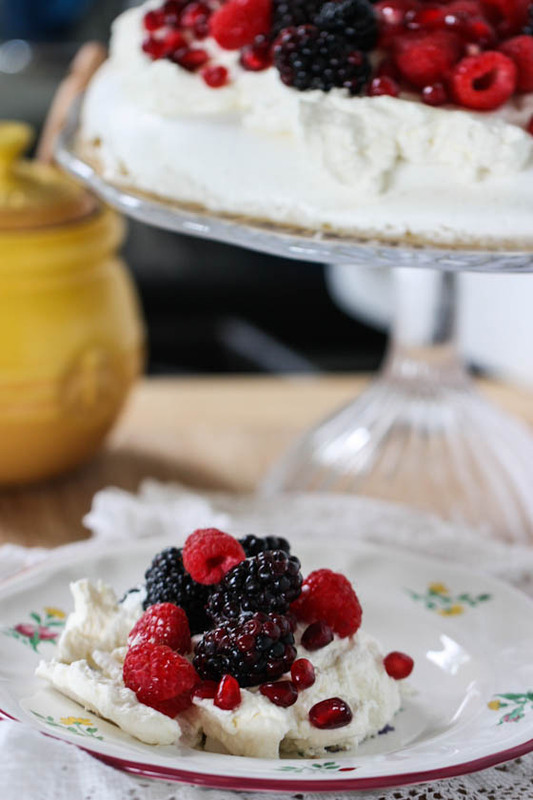 Will def be trying this crumble next! Just give me that with a drop of whip cream and a cup of coffee and I’m ready to take on the day. I have six huge rhubarb plants that produce from April straight through til October. I once tried mowing them off with the lawn mower just in attempt to make them go away one summer. Didn’t work. They grew back bigger and healthier than ever. I get SICK of the stuff, but love making a good sourcream rhubarb pie every now and then. Strawberry rhubarb jam is another yummy concoction!! DROOLING. 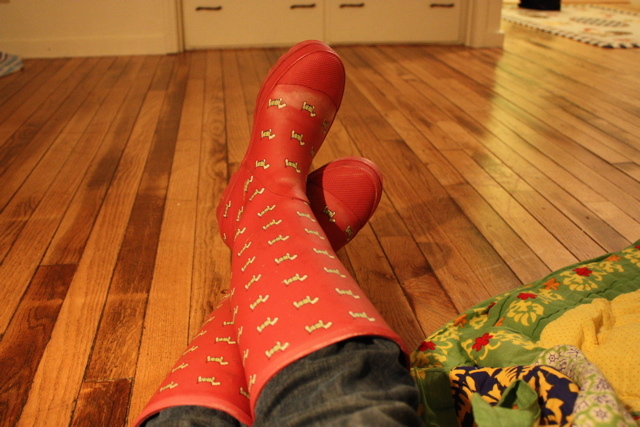 It’s unfortunate that I forgot to grab some rhubarb out of my parents’ garden when I was home this weekend. I would have made this. And perhaps a batch of strawberry-rhubarb jam. My grandma’s recipe, of course.